After entering GREATHORSE through the east porte cochere on the upper level, you move past a stone fireplace, glimpse the Chihuly sculpture in the rotunda, and find a stairway with an iron railing forged to replicate the look of rope that will lead you down to the lower level. At the base of the stairs, you are welcomed by a stone water feature. Your choices at this point are to go left to enter the main dining room, veer right into the bar or continue down a corridor lined with a curated art gallery to the pro shop. 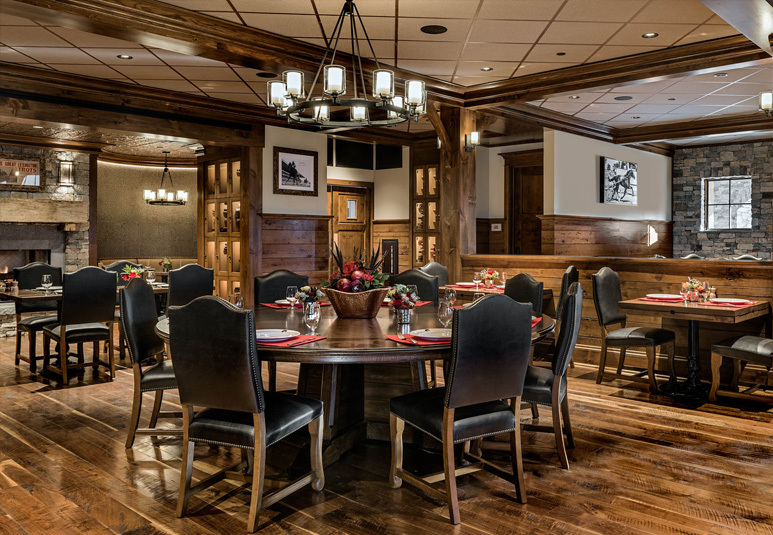 The main dining room was designed to create a private dining experience in a large open room. 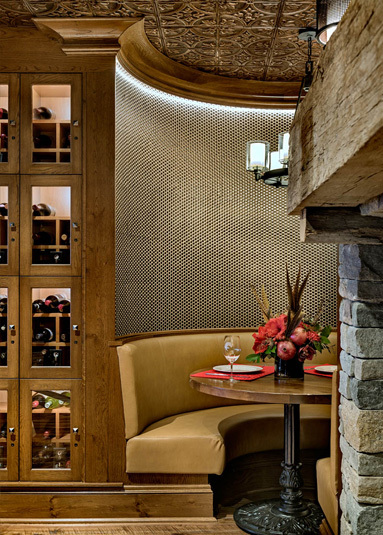 This has been achieved by dividing the room into smaller dining spaces with low height walls and hideaway niches, such as the inglenook with its two rounded booths near the fireplace to create a perfect space for an intimate meal. 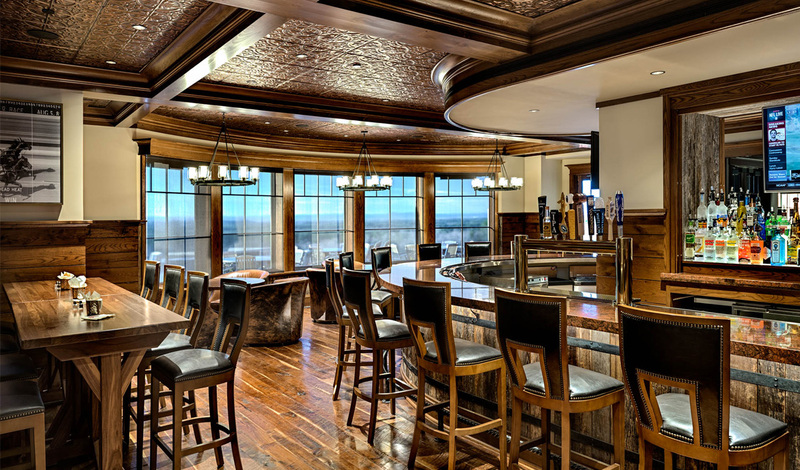 You will find that the bar and lounge area is the ideal spot to relax after golf, tennis or a swim; either at the deep horseshoe bar or in generous leather chairs situated under the windows. 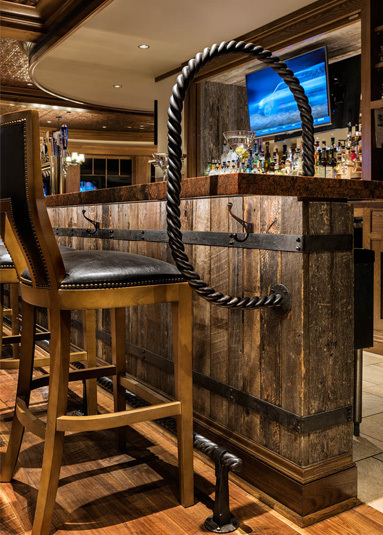 The design of the bar is a combination of rustic accents and old world elegance. 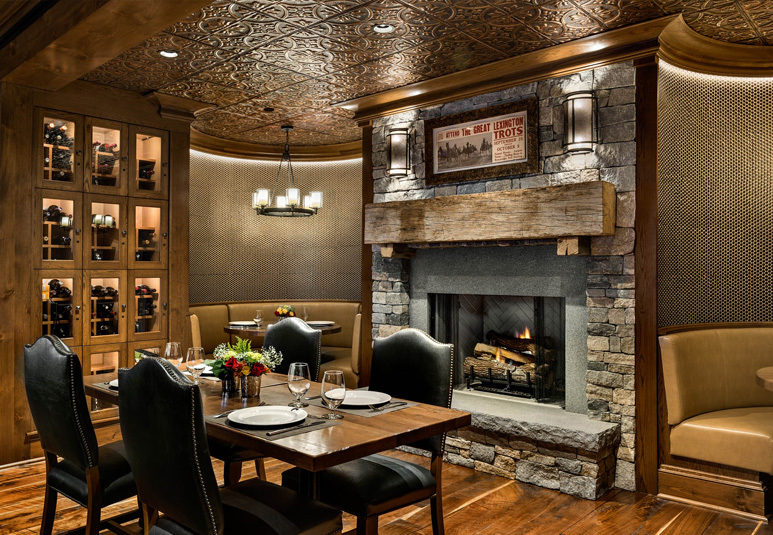 The ceiling is covered with tin tiles with a copper finish, the bar itself mimics the look of old whiskey barrels and the same steel rope used on the handrail serves as a foot rail. 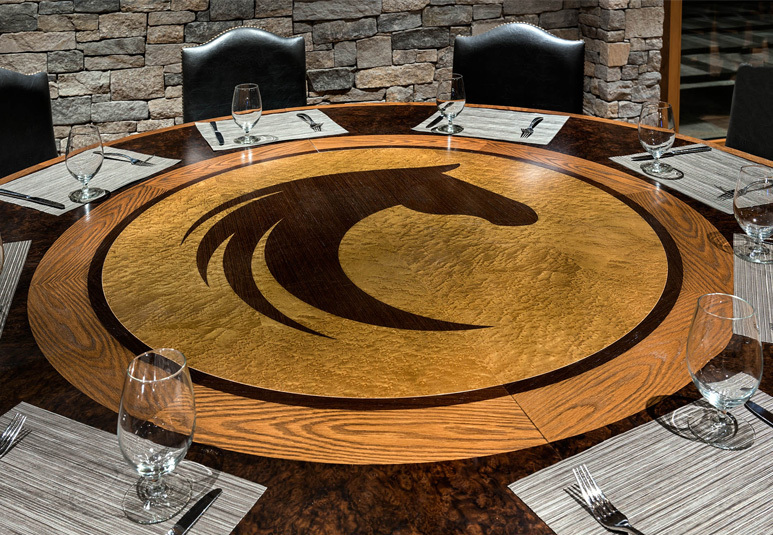 The bar top is made from a “Red Dragon” granite used for a dramatic finish and to reinforce the red used in the club’s signature logo. 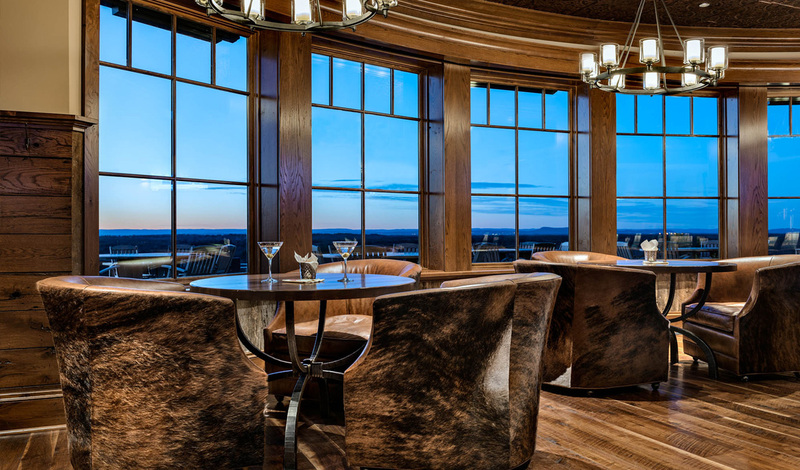 The bar and dining room both lead out to the west terrace with its magnificent views of the golf course and the Berkshires in the distance. 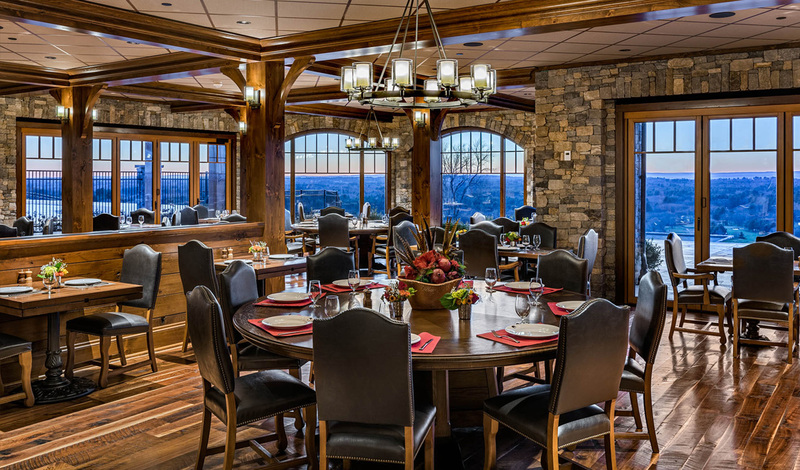 Dining service is available on the terrace for three seasons. 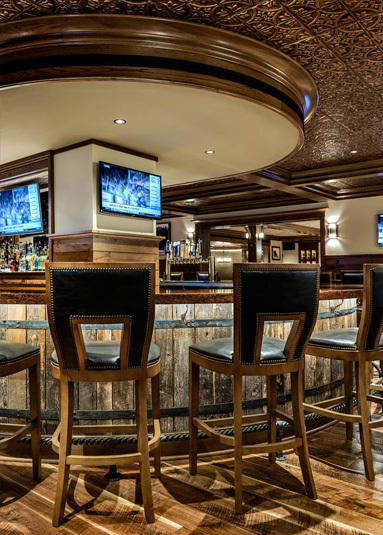 When the weather becomes cooler, the 6 foot diameter fire pit keeps diners warm and five large flat screen TVs installed on the exterior of the building display sporting events throughout the day.